ca. 1830 evening dress, shot silk taffeta, Copenhagen blue and old gold. 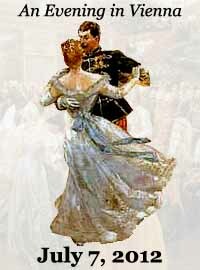 This was the first incarnation of this dress, as worn in Vienna, February 2003. 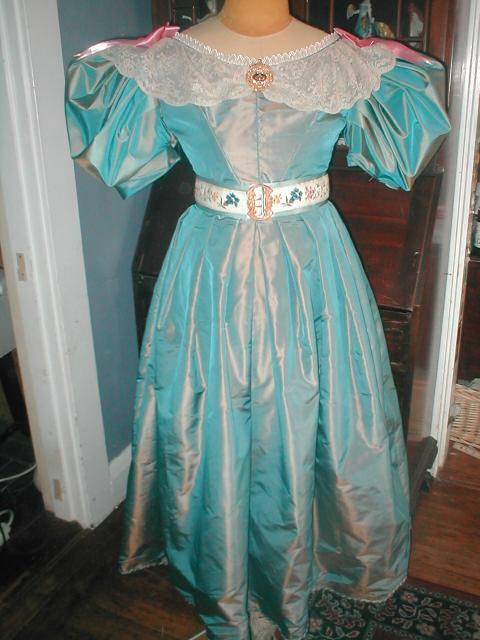 The lace is semi-vintage, the belt is Austrian. Visit the blue/gold 1830 dress page for more detailed photos and descriptions. ca. 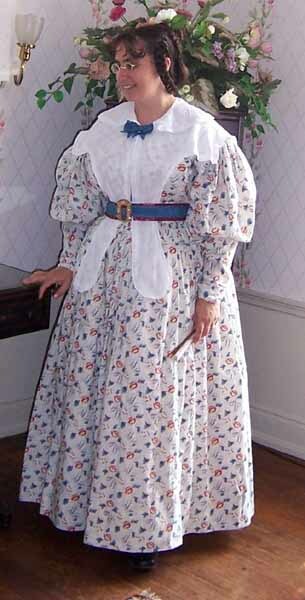 1830's day dress, cotton calico print. The shawl is antique, a wool in cream with orchid woven plaid; the parasol is also antique. This dress was worn by Katy in PBS’ American Experience Series Mill Times, 2002. 1830 day dress, worn by Katy for CVD performance in 2004, reproduction cotton calico. The pelerine/collar was adapted from a pattern in the Workwoman's Guide from cotton voile. The belt is layered ribbon. 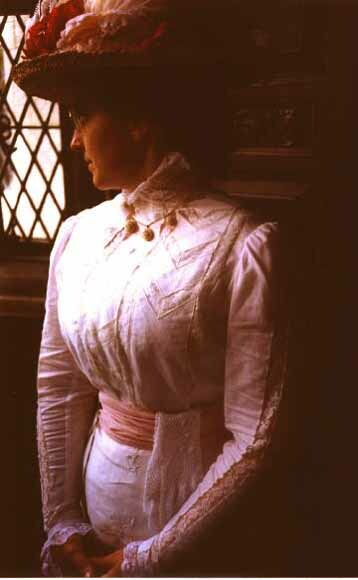 This photograph of Katy was taken during the tour of Linden House during the Newport Vintage Dance Week, 2004. 1830 evening dress, blue silk taffeta, 2nd incarnation, worn by Idy in Vienna 2005. The trim was redone for Idy, bretelles were added to the bodice with braid trim, as well as gold ribbon. 1830 Day Dress, paisley print fabric, made for CVD performance 2004, worn by Idy. The pelerine/collar was adapted from a pattern in the Workwoman's Guide from self fabric. The belt is layered ribbon. 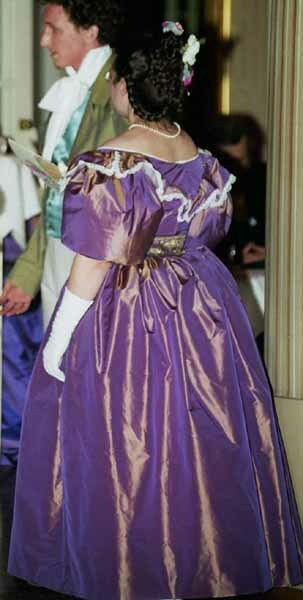 1830 Ball Dress, purple silk taffeta, worn by Katy in Vienna 2005. The collar pattern was inspired by a dress in Janet Arnold, the trim is embroidered organza. The belt is brocade ribbon from India.